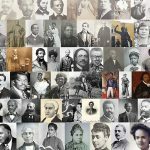 This post is part of my blog series that announces the publication of selected new books in African American History and African Diaspora Studies. 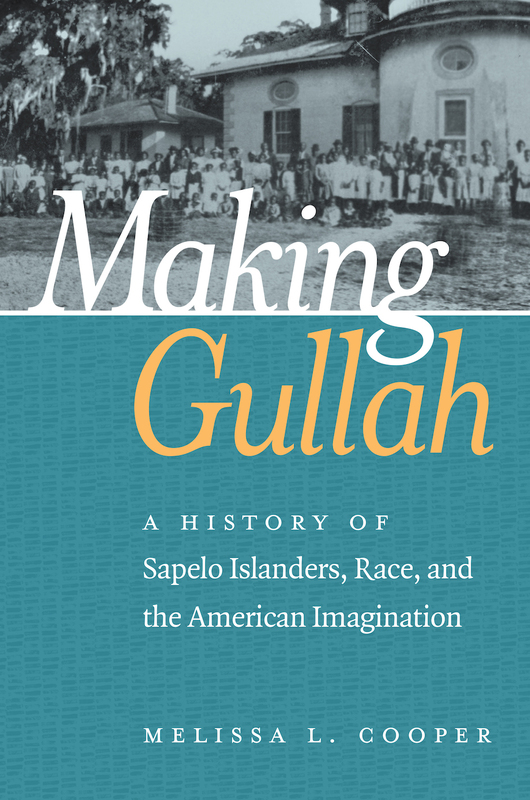 Today is the official release date for Making Gullah: A History of Sapelo Islanders, Race, and the American Imagination, published by The University of North Carolina Press. 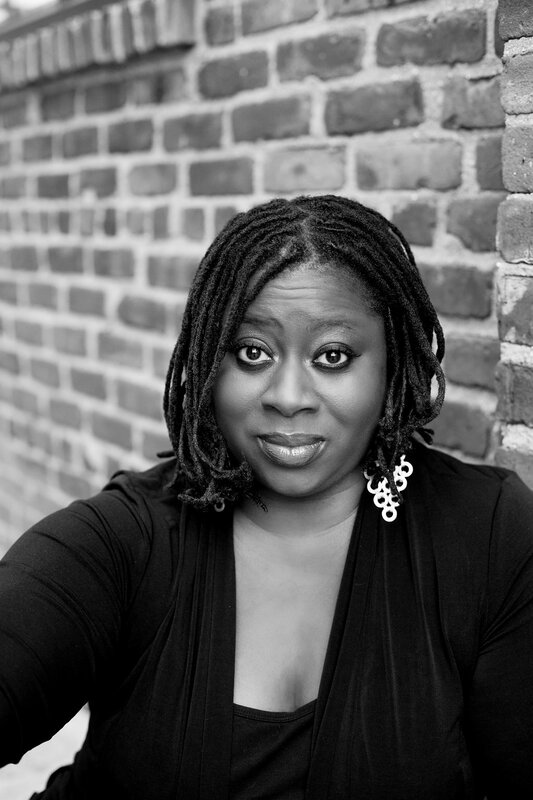 The author of Making Gullah is Professor Melissa L. Cooper. Professor Cooper specializes in African American cultural and intellectual history and the history of the African Diaspora. She is an Assistant Professor of History at Rutgers University Newark. Before joining Rutgers Newark’s history department, Cooper was a member of the Institute for Southern Studies’ faculty at the University of South Carolina. Professor Cooper is the author of Instructor’s Resource Manual–Freedom on My Mind: A History of African Americans with Documents (Bedford/St. Martin’s Press, 2013), and a contributor to Race and Retail: Consumption Across the Color Line (Rutgers University Press, 2015). Professor Cooper is featured in a digital documentary sponsored by the National Endowment for the Humanities and produced by South Carolina Educational Television, titled “Between the Waters” (2016). Cooper’s professional background extends beyond her current work as a professor and historian. She spent more than a decade teaching history in New Jersey’s public schools, and as a result was featured in two radio documentaries: the first, “Probing the Minority Achievement Gap,” aired on National Public Radio in May 2004, and the second is a 2009 Peabody Award winning documentary, “Minding the Gap: Why Good Schools are Failing Black Students.” Follow Professor Cooper on Twitter @HistorianCooper. 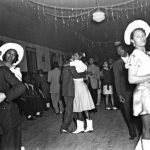 During the 1920s and 1930s, anthropologists and folklorists became obsessed with uncovering connections between African Americans and their African roots. At the same time, popular print media and artistic productions tapped the new appeal of black folk life, highlighting African-styled voodoo as an essential element of black folk culture. A number of researchers converged on one site in particular—Sapelo Island, Georgia—to seek support for their theories about “African survivals,” bringing with them a curious mix of both influences. The legacy of that body of research is the area’s contemporary identification as a Gullah community. This wide-ranging history upends a long tradition of scrutinizing the Low Country blacks of Sapelo Island by refocusing the observational lens on those who studied them. Cooper uses a wide variety of sources to unmask the connections between the rise of the social sciences, the voodoo craze during the interwar years, the black studies movement, and black land loss and land struggles in coastal black communities in the Low Country. What emerges is a fascinating examination of Gullah people’s heritage, and how it was reimagined and transformed to serve vastly divergent ends over the decades. Ibram X. Kendi: Did you face any challenges conceiving of, researching, writing, revising, publishing, or promoting this book? If so, could you please share those challenges and how you overcame them? 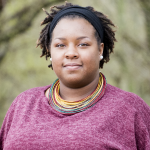 Melissa L. Cooper: Historians encounter a variety of challenges when researching and writing about the past. I certainly faced difficulties on the long road that led to Making Gullah. 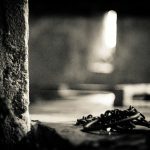 But the most taxing questions that I wrestled with were not tied to the discovery of archival material; they were tangled in a personal struggle about how to best tell a complicated story about race and the imagination that centered on a people and place to which I am deeply connected. My initial interest in examining the history of the way that Sapelo Islanders, and the Gullah, live in the American imagination was inspired by my family’s connection to the island. Sapelo is the home of my maternal ancestors, and I am among the first generation to be born and raised on the mainland. For years I wondered how Sapelo gained prominence in published works about the African origins of coastal Georgia blacks’ folk traditions. I also wondered how and why the Islanders’ multi-generational struggle for land and racial equality had been overshadowed by stories that researchers and writers told about their folk culture. From the 1920s to the present, I uncovered evolving theories about the significance of Gullah people’s heritage which were tied to the rise of the social sciences, the Harlem Renaissance, the Great Migration, the voodoo craze, and the Black Studies Movement. Clearly, the history that I recount in Making Gullah is not genealogical and reaches far beyond Sapelo, so I debated including any of my own history in the book. 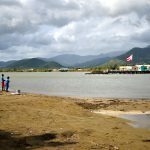 In the end I decided that it was important to reveal to readers my connection to the island, and to explain how it inspired my research. Recent reports about tax hikes, black land loss, and the near extinction of Gullah culture on Sapelo have made headlines in the New York Times and have been featured on leading television news networks like CNN. Missing from all news stories that feature Sapelo and other Gullah communities is an account of how these blacks emerged in the national imagination as distinct populations whose traditions should be documented and examined, and discussions about how the history and legacy of Jim Crow factors in their land loss crisis. Making Gullah fills this gap. I wrote the book to ensure that general audiences could discover this history—a history that is even more important to understand at this moment when new fears about the vanishing Gullah grip the nation. ← Previous : Colored No More: A New Book on Black Womanhood in Washington, D.C.